The European Commission has succumbed to heavy lobbying from the electric heating industry and is set to approve an energy labelling scheme that misrepresents its appliances' true efficiency performance, according to environmental and consumers groups. Around 20 million gas and electric heaters are sold in Europe each year and from 2016, the Commission wanted them to display colour-coded energy performance labels, which have bars ranging from a green ‘A’ to a red ‘G’ class. But electric heater manufacturers – which make up over 80% of the market – fought against any direct comparison with gas and other heaters, most of which are more than twice as efficient. The European Environmental Bureau, a green pressure group, says that the “Commission buckled under pressure” and changed the Ecodesign Directive proposal, to exempt electric heaters from labeling altogether. Instead, national experts from EU states are due to vote on a proposal in October for an alternative sticker warning consumers that electric heaters are equivalent to a ‘G’-class energy label. The vote had been due on 24 September but was postponed at the last minute. EURACTIV understands that even the EU's compromise is likely to face stern opposition from countries including Germany, the UK, Spain and the Netherlands and may fall on grounds of the alternative labels’ legal basis, wording, and extra costs involved in the legislative change. Electric heaters can consume up to 180 terawatt hours of electricity per year across the 28 EU countries, over a fifth of EU household electricity consumption. As a result, they can also put national electricity grids under real stress by powering sudden spikes in demand. By comparison, gas has a much smoother supply pattern. The electric heating industry argues that giving their products a ‘G’ label will not change consumer behaviour, which is motivated by infrastructural convenience and cost considerations. Environmentalists and consumer groups counter that citizens should be given the information so that they can at least make an informed choice. The Energy Labelling Directive, updated in 2010, allows the European Commission to set technical requirements, including energy classes, for household appliances such as fridges, washing machines and ovens. 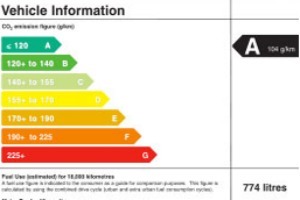 Since the adoption of the energy label in the mid-1990s, the energy-efficiency classification scheme (A to G) has proved effective at steering consumption towards more environmentally friendly household goods.The Commission thus proposed to extend its scope beyond household appliances as part of a Strategic Energy Review in November 2008 (EURACTIV 14/11/08). However, as most products today are in the 'A' class, the EU executive proposed a new scale that would "go beyond A", triggering the development of more efficient products by stimulating competition. On 2 April 2009, member state representatives agreed a new layout with added A-classes, such as A-20%, would indicate how much less energy the product consumes than a traditional 'A class' product (EURACTIV 02/04/09). In 2010, the European Commission adopted the directive that set the "beyond A" labelling system. This is a completely biased article. Electric storage heaters use off peak electricity thereby reducing the load on the grid during the day, a vital way of reducing peak demand and therefore reliving stress (and billions of Euros of investment)in the grid. The latest generation of storage heaters are designed to deliver comfort and control while powered by green energy; providing storage for intermittent green energy sources such as wind and solar. For the first time this will enable micro-generation to be effectively integrated into the grid – this unfair labelling system could kill the very products that the green lobby have been crying out for! How short-sighted. Do your homework Peter, the latest generation are smart enough to anticipate comfort levels based upon usage patterns, rate of room temperature change and required temperature. They will automatically choose the most efficient charging pattern for each customer. An electric panel heater will always be more responsive but is more expensive to run and uses peak time energy rather than green sources. For those 2.2m households in the UK without access to gas or oil the new efficient storage heaters offer comfort, control and the ability to use green energy sources. Don’t judge yesterday’s technology by today’s standards before you see what is now on offer. I hope that you are REALLY concerned, and not just a ordinary lobbyist that crushed the initial label. No matter how “smart” the electric heaters are, you should know that the efficiency of the thermal power plants that convert heat into electricity is maximum 40%. That means that from 1 kWh heat energy that can be used directly in the homes, by converting it to electricity, you can use only 0,4 kWh. Energy and Energy Efficiency is what I am swotting on..becoming more informed in these issues and I appreciate your coverage..succinct and highly informative. The new generation of “Smart” electric heaters can be charged by wind and solar energy – do you research! Therefore your comment is factually incorrect. I and others are working with community groups to try to make this a wide scale proposition through micro-grids and localised generation. We are trying to ensure that we “concerned consumers” have a green choice of electric heating – I repeat for 2.2m of us in the UK electric is the only form of heating available so we have to make it as green as possible. I can’t understand why so many people are lobbying against linking green energy to electric heating – if something is the only way to heat homes then you should welcome attempts to make it as green as possible not punish those who have no choice! !